SERVPRO of Northern Colorado Springs / Tri-Lakes can help get your home back to normal with our water cleanup services. Murky water from flooding, backed up toilets, and other situations that bring contaminated water into your living space can leave your Colorado Springs property heavily soiled and unfit for habitation. SERVPRO can solve this predicament for you by using proven methods and special agents that remove pathogens, contaminants, and odors as part of the mitigation process. We place different situations into one of four categories, ranging from dirty to sterile. Dirty environments contain pathogens and chemicals that can cause people to suffer unwanted health effects. Daily household cleaning maintains a home at the next level, which we term sanitary. This is the level we typically place as our goal. Some pathogens in a home remain ever-present, and this is quite normal. However, when contamination from a filthy source of water affects a residence, we change our goal to bring the home closer to the next level by using stronger disinfecting agents than what we use to achieve sanitary conditions. This is because we need to kill or render inert a higher number of pathogens, as well as remove additional soiling from the affected area. We reserve the last category for environments involved in health care, particularly surgical procedures. The average home not only does not need this high level of decontamination but occupants would find it extremely difficult to maintain while carrying out normal activities. Because we scale our services to meet our customers' needs, we save them money by not providing unnecessary services that do not provide any benefit. Cleaning up water from any disaster also gets your property dry again and helps prevent microbial infestations in the future. Depending on the materials affected, SERVPRO has the equipment to achieve our drying goals. When we finish, your family can live in a dry and healthy house again. SERVPRO of Northern Colorado Springs / Tri-Lakes can help get your home back to normal with our water cleanup services. We also cover Monument and the Palmer Lake area. 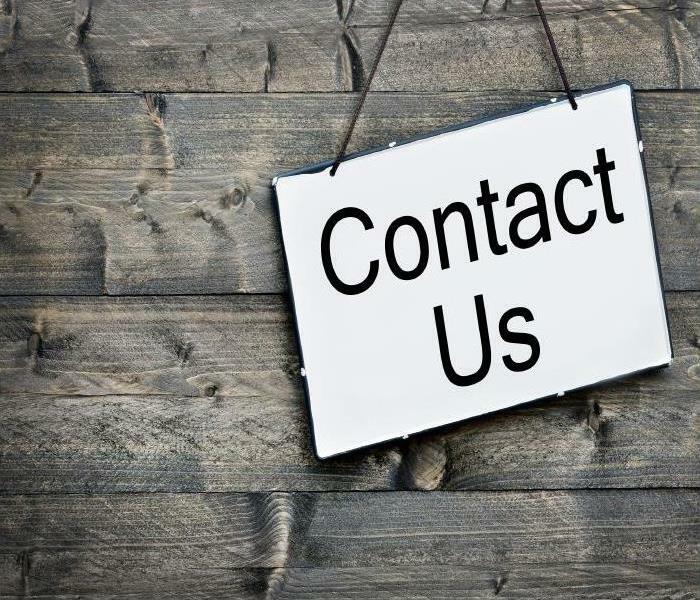 Call us at (719) 434-4626, our 24-hour services line, for information on how we can restore your home with our IICRC-certified mitigation and restoration specialists. Click here for more about Colorado Springs. Professional restoration services are just a call away. Contact SERVPRO of Northern Colorado Springs / Tri-Lakes at (719) 434-4626. In the event of a natural flood, one area of the home that can be especially challenging to restore is the crawlspace. 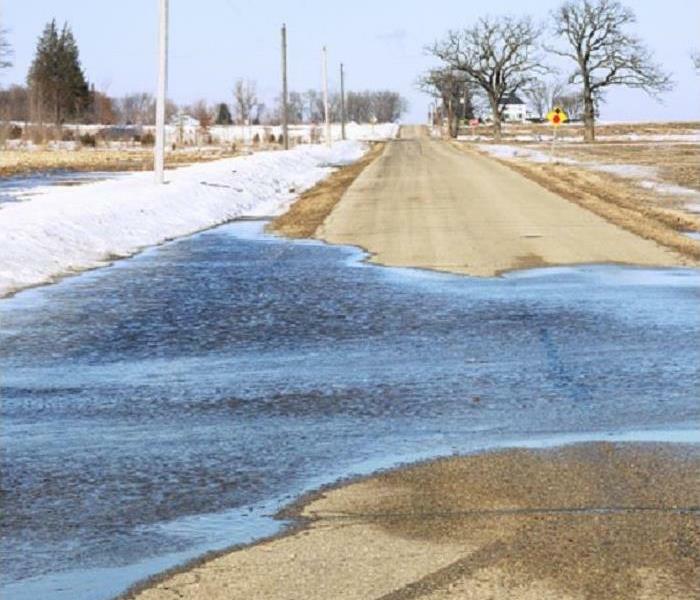 These areas are often the first to be hit by excess water due to their proximity to the ground. They also tend to be closed systems, meaning there is minimal air circulation, which can cause excess water to stagnate creating unpleasant odors throughout the home above. Homeowners who are worried about crawlspace flood damage in Colorado Springs should seek professional assistance. These narrow chambers often house loose electrical wiring as well as weaker structural elements which can make them extremely hazardous when wet. Our technicians are trained to spot these hazards and have the correct PPE equipment to enter a flooded crawlspace safely. Usually, SERVPRO uses pumps or rapid air movers to remove excess quantities of water from a structure. Unfortunately due to small access points and limited space inside this equipment often do not fit inside the area. To remedy this issue, SERVPRO can set up tents inside to create smaller drying areas. We can also use thermal imaging cameras to find areas where moisture may be residing helping us to target the right zones, increasing efficiency. If dehumidifiers do not fit into your crawlspace SERVPRO can use alternative measures to dry the area. Flex hoses are commonly associated with watering your garden, but we use them as a vent to funnel hot air into difficult to reach areas. By attaching a flex hose to a rapid air mover, we can dry your crawlspace without placing equipment inside. Our final step is to assess the humidity levels. High humidity levels in a closed area, one with little air circulation, creates the ideal conditions for microbial growth and bacteria. Using a thermal hygrometer, we can accurately assess the level of humidity and return it to an average level matching other areas of the home. We can also remove or replace any damaged materials during the flood to get your property back to its preloss state. With fires that threaten homes, understanding the full measure of the damage to contend with might be challenging for homeowners to do on their own. Not only can many homeowners overlook potential hazards and damages that exist after a fire, but there are also possible health risks and indoor air quality concerns that should discourage assessing the damage on your own. Professional restoration services like ours begin with an honest and accurate assessment of the damage to your property, and what must get done to restore it entirely. Many Colorado Springs homeowners vastly underestimate all of the fire damage effects that can result even after the disaster has gotten extinguished. Our SERVPRO professionals have a 24/7 response to fire emergencies, offering the full measure of our mitigation solutions and industry-leading equipment to address any potential hazards or pressing effects discovered through the initial inspection of your property upon our arrival. Our competent team goes over all of the affected areas of your house determining the best approaches to restoring visible damage and what affected surfaces and construction materials require replacement and reconstruction. An accurate and honest assessment means that our professionals and IICRC-certified technicians do not try to upsell you on services and restorative approaches that your home does not need. Instead, we work to provide the most efficient and cost-effective restoration to ensure that our treatment meets your high expectations. The SERVPRO IICRC certified professionals responsible for the assessment can share this information directly with your insurance company as well. 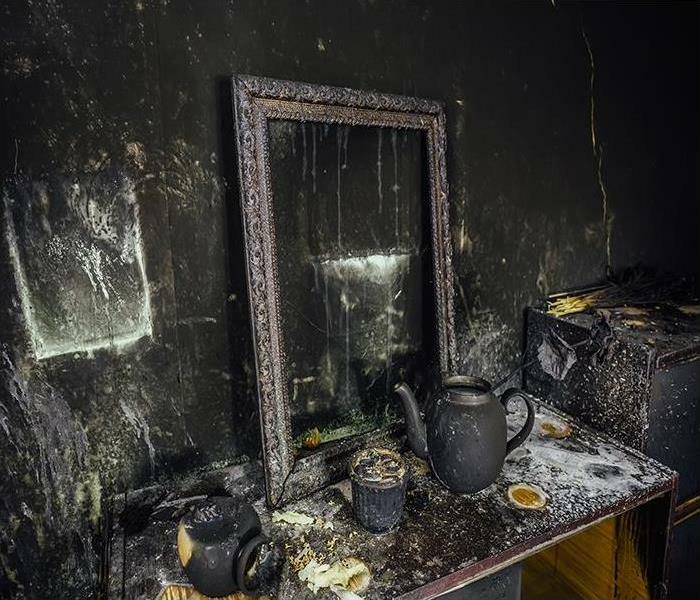 Often to approve a damage claim for restoring fire effects in your home, your insurance provider requires a detailed record of the damages and photo evidence and documentation of loss and affected areas. These components are a part of our inspection and assessment process already, so it saves time in getting a damage claim approved to reach out to our team first. Your insurance adjuster's documentation can be complemented with SERVPRO's inspection report and pictures. To understand what your damaged home needs after a fire, you should trust the honest and accurate assessments of our SERVPRO of Northern Colorado Springs / Tri-Lakes team. 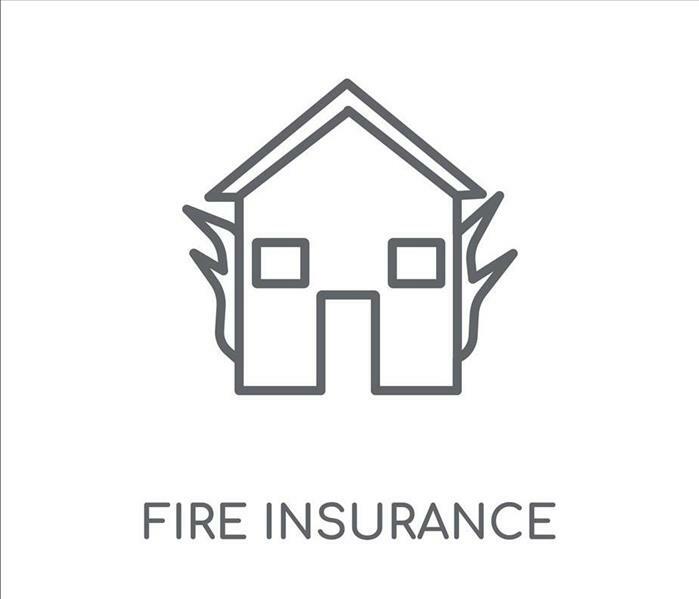 We can determine what your home needs and get effective mitigation started to make fire damage “Like it never even happened.” Give us a call anytime at (719) 434-4626. If Missing Shingles On Your Colorado Springs Home Have Caused Water Damage, Our Crew Can Help! Give our specialists a call today at (719) 434-4626. While storm damages can do a number on your Colorado Springs home, the winter season and its steady snowfall and freezing temperatures can often do more damage to your roof than passing torrential weather. While you cannot predict when your shingled roof would suffer the effects of freezing and ice damming that can break portions of this protective covering loose, you can know what you should do whenever these damages occur and begin to allow moisture penetration into your property. The initial penetration of moisture can affect the roof supports and backing materials first, but water damage in your Colorado Springs home can quickly begin to spread to other areas. Without the expertise and skills, homeowners cannot seal off these penetration points to prevent further exposure to your home’s interior. Our SERVPRO professionals can respond quickly to these emergencies, and begin the necessary mitigation in your home with emergency board up and tarping services to eliminate further water penetration as the work begins inside. We can work quickly to establish the full spread of the damage and what must occur to restore your property completely. If we can get notified of this problem quickly enough, our team can limit the spread of the damage enough to make cleanup and drying all the work that you damaged home requires to get restored. However, many times homeowners do not utilize their attic space enough to see when moisture and dampness are present, so these effects can spread throughout this area and be more challenging to overcome. Our SERVPRO professionals arrive with advanced drying equipment like our high-velocity air movers, inject-dry system, and dehumidifiers of varying sizes. With a combination of these tools, we can quickly dry out damaged elements to determine if any of these affected construction materials require removal and replacement. Many steps make up the recovery process when your damaged roof allows moisture penetration into the attic space. Our SERVPRO of Northern Colorado Springs / Tri-Lakes rapid response team can respond quickly to make this situation “Like it never even happened.” Give our specialists a call today at (719) 434-4626. Winter snows bring spring thaws and lots of water being added to the area. During the winters in the Colorado Springs area, it is common to have weather that fluctuates, and temperatures outside are continually rising and dropping. Several scenarios could force you to conduct commercial water removal at your construction company's office and warehouse. When the weather changes so drastically during the winter, one day there could be a foot of snow, then the next day it could be 50 degrees outside. When this happens, the snow can melt quickly and force water into your office or warehouse. Once water starts to flow into your business' building from the outside, it is wise to call in a professional commercial water removal company like SERVPRO. Even if melted snow is not an issue changing outdoor temperatures can cause your pipes to freeze and break. When pipes freeze due to outdoor temperatures dropping, calling a professional commercial water removal company in Colorado Springs such as SERVPRO can save your business and insurance company money. When the temperature drops overnight, it is possible that hundreds of gallons of water may invade your construction company's office. When an excessive amount of moisture gets into a building, it can cause several of your structural components and contents to retain moisture. If your building materials and contents inside your office and warehouse get saturated, they could get ruined if not dried out promptly. Another thing our SERVPRO technicians pay attention to is the temperature inside your office and warehouse. If items get wet, the drying process works more efficiently at higher temperatures. If needed, we can set up heaters that raise your building's interior temperature during the drying process. If contents inside your warehouse such as construction materials get wet, then we can take extra steps to dry out the materials individually. For example, we can un-stack materials like plywood and lay them out so that they dry more quickly than they would if they were stacked. We can also add more dehumidifiers to help pull moisture out of wet items. If your company's office or warehouse ever happens to suffer from water damage in the winter time, call SERVPRO of Northern Colorado Springs / Tri-Lakes at (719) 434-4626 24/7. Colorado Springs is called Olympic City USA. Read more here. 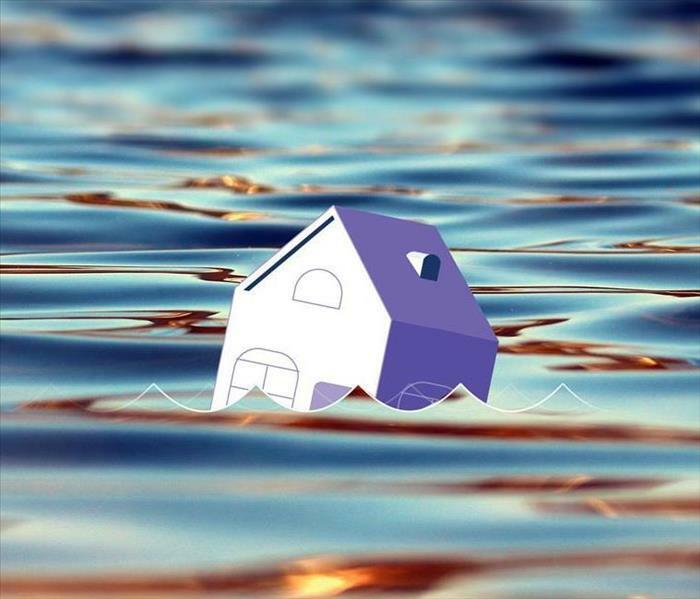 Don't let your house go down without a fight..
Water damage can be a huge frustration to most. Following the proper water damage removal steps can greatly reduce the stress from the situation. Locate the water shut off ASAP. If you are not able to locate the water shut off call a plumber immediately and try and divert the water as much as possible and remove invaluable items off the floor. Removing the water can sometimes be easier said than done. Sump pumps can come in very handy in times of need. Sometimes a good OL shop VAC can do the trick but is extremely time consuming. Always remember the longer the water sits the more damage it will cause. Always use caution when doing this due to the fact the water could contain hazardous material. After the water is all cleaned up the next step would be to get air flowing over top of the carpet (Pending the severity of the flood) to rapidly recirculate the air. Once all the air is moving it is most likely you will need a dehumidifier to pull the moisture out of the air. In turn this will help with the drying process and help prevent mold growth. These steps are bare minimal. In turn we always recommend using a certified restoration company to insure proper remediation of any damages. This can save 10’s of thousands of dollars if not properly done. If you need help please call us at 719-574-2789 I would be glade to walk you through all of these steps and/or we also do free estimates! 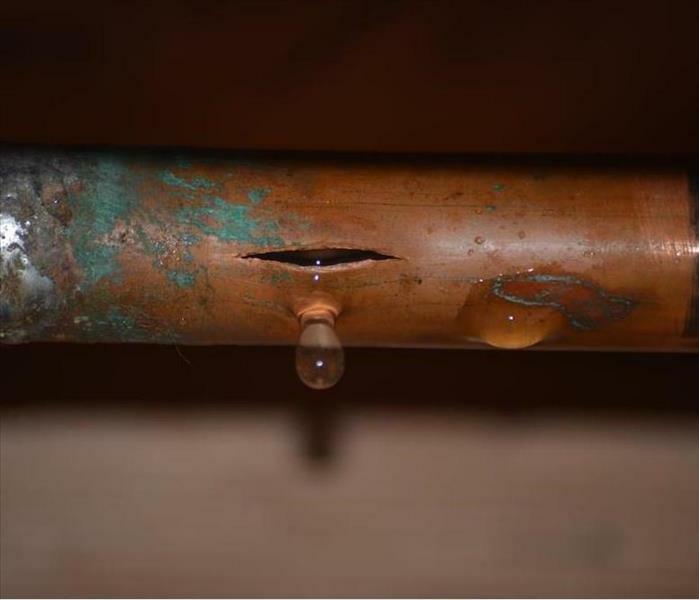 When pipes crack and break under stress, water damage and flooding can result. Contact team SERVPRO to make it "Like it never even happened." With the fluctuating temperatures that Colorado Springs residents can expect from the fall through the late spring months, ground movement below the surface is more common than you might believe. With this movement comes a considerable strain on underground elements, particularly buried utility lines from gas and the public water system. As these shifts continue, the strain on already vulnerable points in these lines can lead to cracks, leaks, and full breaks. When a water main breaks, the high-pressure output can force several hundreds of gallons of water per minute or more. Water from breaks follows the path of least resistance to the surface, where water then follows the easiest path towards homes, requiring an immediate need for mitigation and flood removal services in Colorado Springs. The problem with these types of flooding situations is that there is no stopping the flow of this water until those responsible for the utility arrive to shut down isolation valves for the line and repair the break. Our SERVPRO professionals can arrive quickly to continually mitigate the situation and keep the damage from getting worse until we can successfully restore the damaged areas once the water purveyors have repaired the damage to their line. Real-time mitigation strategies often involve fast extraction from the industry-leading equipment we bring with us on our SERVPRO Green Fleet. In situations like these with continual water flow, we can offer some of our most powerful machines for the job including gas-powered pumps, commonly known as trash pumps, and our even stronger truck-mounted options. Drying out the damaged areas can prove ineffective until the flow of the water has gotten successfully stopped by the response of the city personnel. We can install air movers and LGR or desiccant dehumidifiers to begin forcing moisture out of exposed structural elements to protect and preserve them if possible. There are many steps to flood recovery, especially from something as damaging as a water main bursting near your home. Our SERVPRO of Northern Colorado Springs / Tri-Lakes can respond quickly. 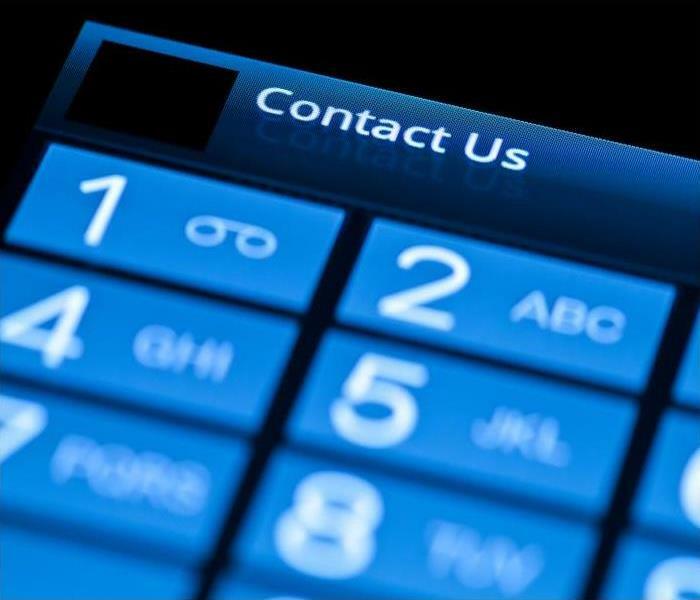 Give us a call 24/7 at (719) 434-4626. After A Fire Has Destroyed Your Home In Colorado Springs, Call The Professionals At SERVPRO! If you need our services, call (719) 434-4626 today to set up a visit from one of our inspectors. In many Colorado Springs house fires, the majority of the restoration costs come from the residues left by smoke and soot when the fire is extinguished and affected items eventually cool. Where fires burn longer and very hot, there is more loss of personal and structural property. To determine what tools, cleaners, and methods to use for restoring Colorado Springs homes after fire damage, SERVPRO restoration teams breakdown the effects into three categories. They base their decision on fire temperature, speed, and what was consumed or otherwise affected. Minor cleaning and restoration is needed where the fire burned for only a short time, and smoke or soot residues are limited to only part of the home. Books, magazines, and other paper items are usually the only items that require disposal and replacement. Specialists wipe residues off surfaces with dry sponges and perhaps only water or a mild cleaner for thicker residue layers. Medium cleaning and restoration is needed when the fire burns for a longer time and at higher temperatures, which physically damage more property and deposit thicker residue layers. Nearly all cleaning requires a stronger agent to break up layers, but SERVPRO team members can clean, restore, and even make minor repairs to most personal and structural property at home. Here, odors in the residues also require special cleaning agents to neutralize them, while other items directly affected by heat and flames require removal. Major cleaning, restoration, and removal efforts are needed when the fire itself spreads through much of the home. The heat and open flames cause excessive physical damage to the home and personal property which means more requires disposal and replacement. Our offices work with the homeowner and his insurance agent to ensure everything is properly notated to ensure full payment. In this category, many personal items may require cleaning and deodorizing methods like immersion. Accomplishing these tasks means transporting the property to our office or another location. If there is structural damage to the doors, windows, or roof, our specialists secure them with plywood sheets or tarps to prevent weather damage, animal intrusion, and trespassing after removing damaged property like furniture and wall panels. Our goal at SERVPRO of Northern Colorado Springs / Tri-Lakes is to return residents to their homes as quickly as they are safe for occupation. If you need our services, call (719) 434-4626 today to set up a visit from one of our inspectors. Just give us a call at (719) 434-4626 when you find an issue so we can have your property back to pre-damage. If your basement in Colorado Springs smells musty, you do not need an air quality test to tell you there is mold growing somewhere in your moist and dark cellar. 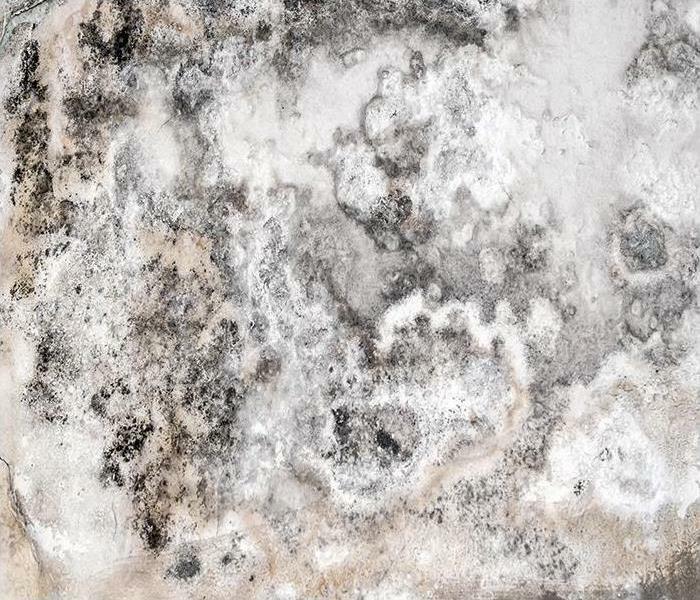 It is helpful to understand why mold grows in the first place to be able to help prevent it the next time. It is not something that you want in your home on a regular basis, as it can cause health effects. When you do find mold and mold damage in your Colorado Springs home, you want help getting it cleaned up right away. SERVPRO is a professional remediation company who has the experience and training you want when you need assistance cleaning mold from your home. Do not try to clean the infestation yourself, as household cleaners are not strong enough for mold. Our goal is to clean the mold from your basement and to stop the moisture issue that caused the mold infestation in the first place. Before the mold can be removed, we must contain it so that while we are cleaning, we do not spread the mold to other parts of your home. Then we begin removing the mold with different methods depending on the surface the mold is on. Non-porous materials can generally be HEPA vacuumed, and damp wiped, while some non-porous materials will have to be replaced altogether. In your basement, one cause of mold can be poor drainage. A functioning downspout and gutter system are needed to move rainwater away from the foundation of your home. You should have a minimum of a six-foot downspout extension to get the water far enough away from your home. A slope or grade close to the foundation of your home is also essential. Any water, such as from a lawn sprinkler or rainwater, or even water used to wash your car, can accumulate close to your home’s foundation and make its way down into your basement. Leaky pipes can also cause mold. A slow drip that is feeding the growth of mold and releasing moisture into the air can make your basement an unhealthy place to be. Warmth is also a significant cause of mold. Unfortunately, there is not much you can do about this. Most homes have their water heater and furnace in the cellar or basement. These items put out heat, which can provide one of the three elements that mold needs to grow. SERVPRO of Northern Colorado Springs / Tri-Lakes can help you clean your home in Monument, Gleneagle, or Palmer Lake of mold anytime you need. Just give us a call at (719) 434-4626 when you find an issue so we can have your property back to pre-damage. Don't Panic! We Can Restore Your Colorado Springs Retail Store Back To Pre-Damage Condition After A Water Damage Disaster! When your retail store requires professional remediation, contact SERVPRO of Northern Colorado Springs / Tri-Lakes at (719) 434-4626. Excess water can become a health and safety concern for a retail store manager prompting temporary closure and with it a loss of revenue. Damages can be widespread especially where fabrics, upholstery or carpeting is concerned. A fast, efficient service can pay dividends in the long run and be more thorough than your in-house janitorial staff. Choosing a local company with a national reputation can help get your retail store back to business. The primary concern when dealing with commercial water damage in Colorado Springs' retail stores is mitigating loss. Water often contains bacteria that can produce unpleasant odors or even increase the risk of mold damage. 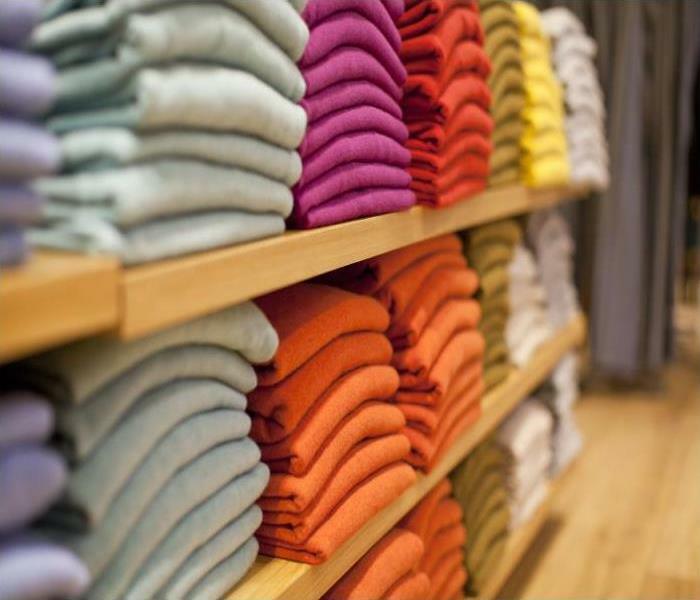 As a retail store manager, your needs are likely to be thorough cleaning, drying and odor control after a water spill. SERVPRO uses IICRC certificate holders with training in both odor control and water cleanup. For smaller stores, we can bring in portable extraction units that can dry difficult to reach areas. In some cases, water may seep into wall cavities underneath fittings or damage your subfloor. By using the latest injectidry systems, we can ensure that residual moisture is thoroughly dried preventing unpleasant odors or mold from remaining after the service is complete. Usually, once a property is dry, odors that come with water dissipate but not in all cases. Our odor control technicians are trained to both find the source of odor as well as decide the best way to remediate it. SERVPRO can use water or chemical-based foggers to neutralize odor particles. Where there are severe odors, we can lay pellets to help remove the smell and make the damage “Like it never even happened.” For large commercial retail stores Ozone generators can be deployed although, due to their harmful nature, we use this equipment sparingly. SERVPRO respects your business and promises to send a highly-trained team of technicians to your property immediately upon notification of loss. If you have special requirements due to the nature of the building you can communicate them directly with a project manager at any time during the service. We operate our call-lines 24-hours a day because we know that damages do not happen in business hours. Click here for more about Colorado. 3/21/2019 - If Missing Shingles On Your Colorado Springs Home Have Caused Water Damage, Our Crew Can Help! 2/19/2019 - After A Fire Has Destroyed Your Home In Colorado Springs, Call The Professionals At SERVPRO! 1/30/2019 - Don't Panic! We Can Restore Your Colorado Springs Retail Store Back To Pre-Damage Condition After A Water Damage Disaster!